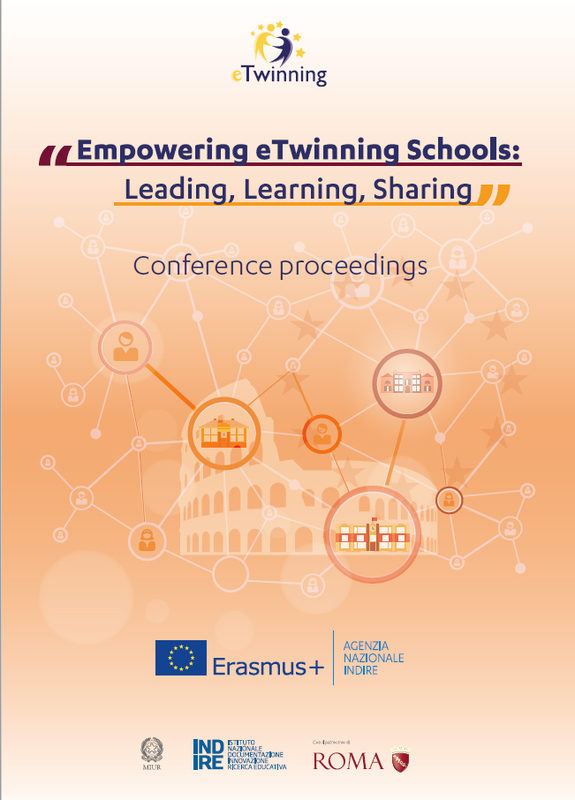 On this page you will find information about the eTwinning Thematic Conference “Empowering eTwinning Schools: Leading, Learning, Sharing”. The Conference takes place in Rome (Italy) on May 14-16, 2018. Hosted by the Italian eTwinning National Support Service (NSS), the Conference is organized in collaboration with the eTwinning Central Support Service (CSS), EACEA, the European Commission, the Italian National Agency Erasmus+/INDIRE, and the other NSSs and PSAs participating in this event. The eTwinning School Label recognises the work of schools who are deeply engaged in eTwinning and encourages these leading schools to become proactive in supporting and become a model for other schools at local and national level. The concept of “eTwinning school” is multifaceted. On one side, it is closely aligned to the educational policy priorities of the European Commission as outlined in a recent report “Teachers and school leaders in schools as learning organisations”. On the other, it makes indirect reference to the concept, expounded in educational research studies, that teachers are “leaders of change” by establishing new forms of professional relationships with their colleagues based on sharing and peer mentoring. The individual teacher can make significant change in the school when management creates the necessary conditions that favour collaboration amongst colleagues. This process is similar to the one identified by Rogers (2003) as the diffusion of innovation in a school in which teachers adopt new forms of collaboration, with the intent to experiment innovative approaches in teaching, when guided and influenced by pioneer colleagues. The eTwinning School also makes reference to the notion of “Distributed leadership” and the capability of the school management to recognise the in-depth knowledge and the expertise of teacher leaders. This is implemented by creating the opportunities for teachers to develop further, and through identifying and enhancing the conditions in the school for the sharing of experiences and good practice, thus making the school a “learning organisation”. Such elements are certainly present in all eTwinning Schools to various degrees, but they may not be necessarily visible, formalised, sharable and scalable. The overall goal of the Conference is to identify, highlight, feature, recognise and promote the elements, which characterise the eTwinning Schools, so that they can be further nurtured within and beyond the school itself. Only schools who fully capitalise on the results achieved will be able to act as models, promoters and multipliers for others. Armenia, Austria, Azerbaijan, Belgium, Bosnia and Herzegovina, Bulgaria, Croatia, Cyprus, Czech Republic, Denmark, Estonia, Finland, France, Georgia, Germany, Greece, Iceland, Ireland, Italy, Lithuania, Luxembourg, Malta, Moldova, Norway, Poland, Portugal, Romania, Serbia, Slovakia, Slovenia, Spain, Sweden, Turkey, Ukraine, United Kingdom.